Hi ladies! I'm Ashley from Private School Prepster. 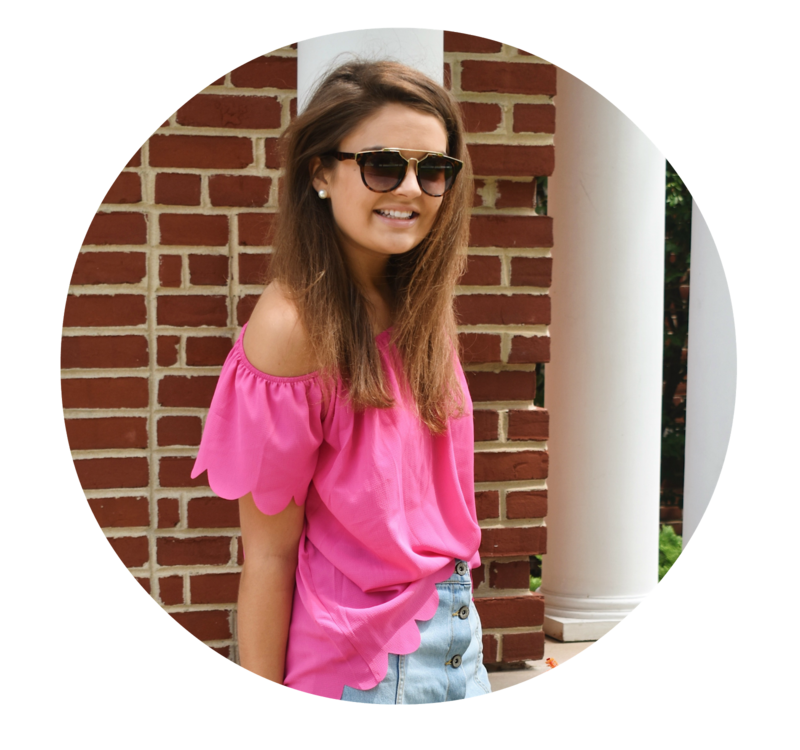 When Caroline asked me to guest post for her blog a couple of weeks ago, I was so excited because I'm a huge fan of her blog! I'm honored that she likes my writing enough to want me to do a guest post for her. With summer already here, I decided to share some cute summer hats to wear. Hats are a definite necessity in the summer because they keep the sun out of your eyes, prevent you from getting a sunburn, and are a great touch to your outfit. The hats shown below are a couple of hats that I really like, and I'm hoping to get at least one of them for summer! 1. Monogrammed baseball hat. 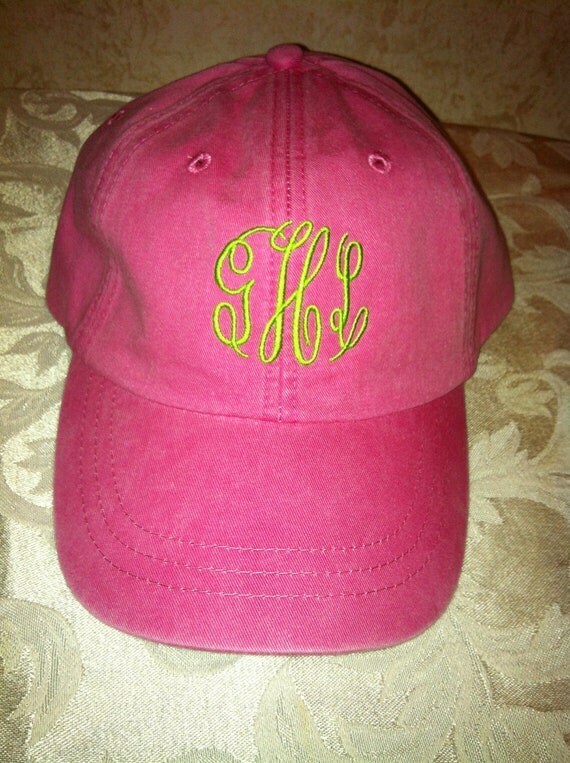 I LOVE this monogrammed baseball hat from the Etsy shop ElleBottoms! Although I like the pink and green combination, I would probably get a navy blue hat with a hot pink monogram to make the hat a little more versatile. This hat serves a good purpose for going to the gym, going to the beach, or even just going out! 2. Marley Lilly monogrammed derby hat. I first found out about this adorable Marley Lilly monogrammed derby hat from Caroline! She definitely rocked it. Although I love this hat, I'm not sure if it would look that good on me because I have small face. This hat is absolutely perfect for the beach because the sole purpose of a derby hat, or even a floppy hat, is to keep the sun out of one's eyes. The monogram makes it even better! If I do end up getting this hat, I'd get the pink outline, seeing as pink is my favorite color. 3. Southern Anchor hat. Southern Anchor is one of the millions of Southern preppy clothing brands. I discovered their brand through Twitter, and when I searched through it, I fell in love! I found out about the brand when it was brand new, so there was only a logo sticker. Now they have a logo sticker, hats, shirts, and koozies! Just like the monogrammed baseball hat, I would get the Southern Anchor hat in navy blue so it could go with any color that I was wearing. What hats do you like this summer? 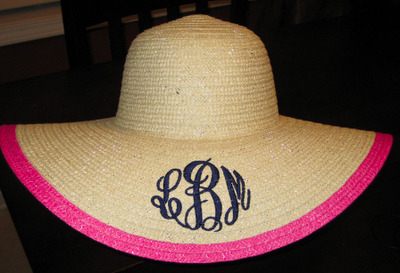 Hats are a must have for the summer and I love the monograms! I have definitely gotten good use out of my monogrammed baseball cap!